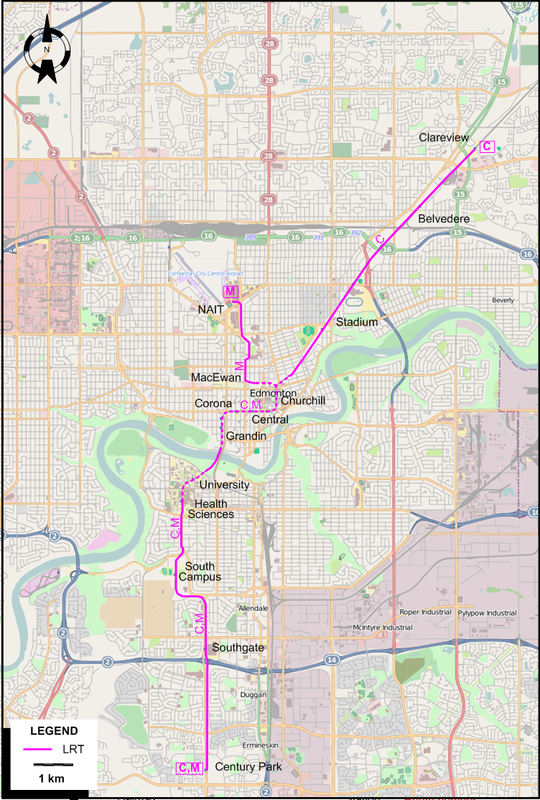 The Edmonton LRT system after the opening of the line to the Northern Alberta Institute of Technology (NAIT). The route names C and M used on the map are for convenience only. 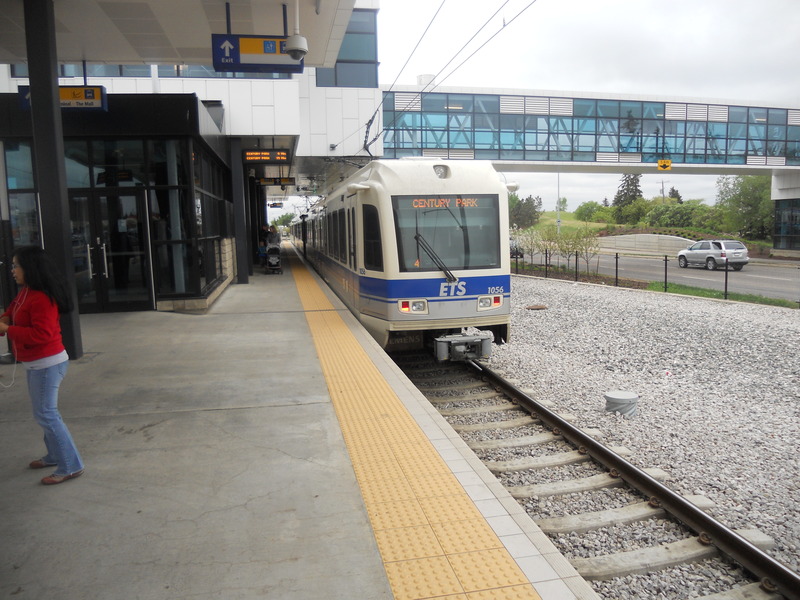 The operator uses only the route designations Capital Line and Metro Line, respectively.